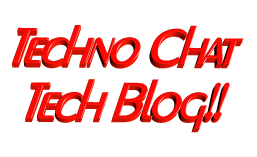 cluster on vmware | Techno Chat|Tech Blog!! iSCSI Target : For iSCSI Target I used StarWind and install it on my Host PC. There are another tools available for the same, you may use that also, ie iSCSI Cake. VMWare Workstation / Virtual PC : You need 3 Windows 2003 Guest OS, one for AD and two for Cluster Node. On the host pc (my desktop), I install StarWind iSCSI. Create image file for Quorum and other Disk. In the guest operating systems, I install both StarPort and Microsoft Initiator 2.07, but you can install any one of them, don’t have to install both. In the both guest operating system, I configure StarPort for first 3 iSCSI Device and configure Microsoft Initiator for last iSCSI Device. Now I get 4 SCSI disks in Windows 2003 Guest OS , format and assign a drive letter. Posted in Windows. Tagged 2003 cluster configuration, cluster configuration, cluster on vmware, configure cluster on virtual pc, Creating a cluster in VMWare Workstation using iSCSI, tutorial for configure cluster on vmware, virtual storage.